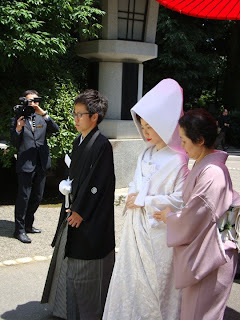 pictures of two japanese weddings. 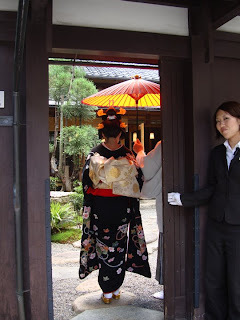 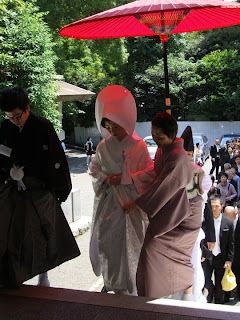 the first is in kyoto,with the bride wearing an elaborate wig. 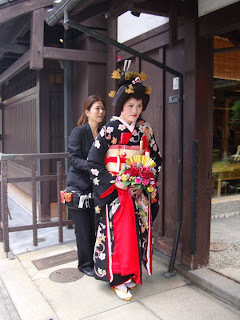 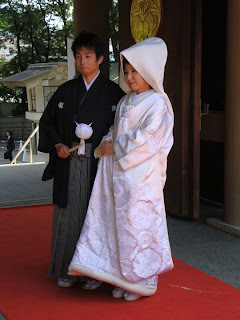 the second is in tokyo the bride is in a traditional bridal outfit.